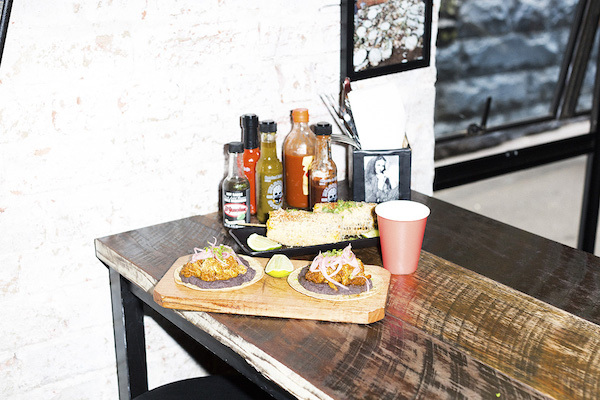 Picture this, you’re walking through Melbourne’s CBD, it’s hot, you’re dreaming of holidays, margaritas by the beach, tacos, real taco’s with hot sauce…oh man hot sauce! Remember that time you ran out of the restaurant? Your friends found you at the 7/11 gulping down a choccy milk like that was going to do something about the lava burning through your tongue. Yeah that kind of hot sauce, you want that. Ok your in the CBD, where to go? We too were like you until we hat danced into Touche Hombre, turns out they have that hot sauce (ask for it behind the counter,) tequila and tacos too, we sat down with mezcal enthusiast Brett who showed us a couple of his agave (plant) tattoos and ran us through this fine establishment. So Brett, Touche Hombre what’s the vibe? We are a good times bar, tequila bar, Mexican restaurant. I’ve been here a couple of months, man. The venue just over four years. Yeah we run over 50 different types of Tequila, beer and wine is around but Tequila is the star. 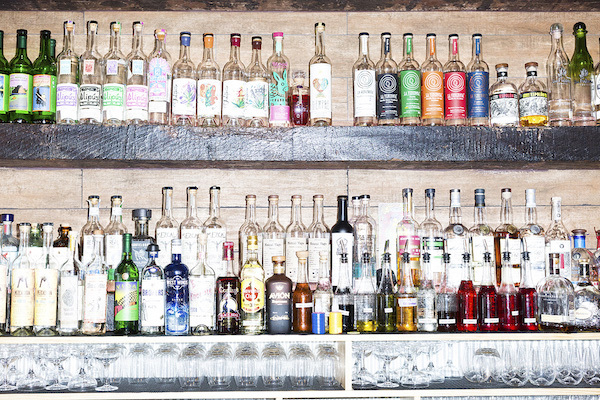 I used to work in a tequila bar in Calgary Canada, called ANEJO, It has Canada’s biggest agave spirits list, so around two hundred tequilas, fifty sixty mezcals…you get the vibe. That’s where I started learning about it (tequila), man, that was 2012, and I’ve had a passion for it ever since. I went to Oaxaca(Mexico) on the Mezcal trip, got agaves tattooed on me, that was fun. Amazing. So I guess of all the places tequila based places to work in Melbourne this is probably up there? 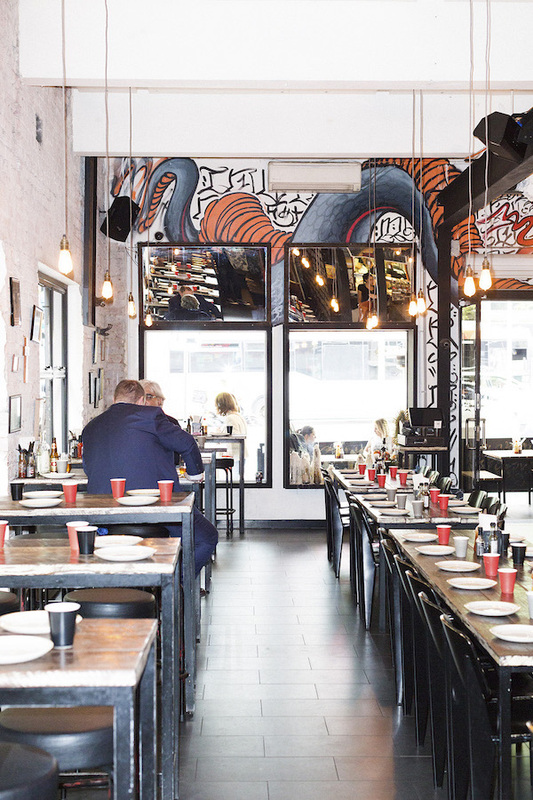 Oh for sure, man, it has one of Australia’s biggest agave spirits list’s for sure; we’ve got next door opening up too, which is a bar called Mezcalito, it will be an agave-focused bar and Oaxacan street food, so it’s going to be cool. Sounds like good stuff. Alright, so, are you a sipping man or are you? Yeah, I sip these days, man, my shooting days are past me. So, is it as much a bar as it is a restaurant? In some ways, or? We have a ‘bar bar’ if you know what I mean but we are a restaurant first and foremost. I guess because that’s what the licence says [laughs], but yeah, we try to create a happening vibe and make people want to come back because of, the stuff we play the great food and drink and our atmosphere, so, yeah. Alright, so if you could change one thing about the bar without getting fired [laughs], what would you change? I’d change the license, man, to a bar license, so that people could come in and enjoy tequila without having to eat food, man. I love talking to people about that, and a lot of the times they seem to agree, you know. It’s interesting that Melbourne hasn’t really got a straight up tequila bar, I mean Little Blood is probably one of the only examples but yeah, straight out tequila bar doesn’t really happen, does it? Next door, next door soon, man, tomorrow actually; tomorrow we open up Mezcalito, it’s going to be cool. Ok, some quick one’s, best time of day to come in without having to wait? Needs to be deleted? The passenger by Iggy Pop, I love it but it gets rinsed! So last bottle you’re gonna ever drink before you die, what you gonna drink? Del Maguel Vida Mezcal For sure. Thanks for your time, Brett.